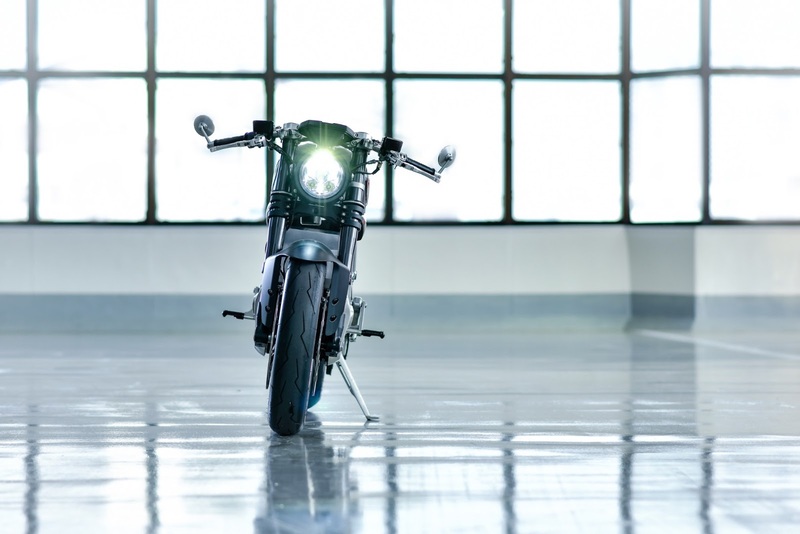 We talk a little about electric motorcycles sometimes, but here we wanted to show you a beautiful bike, a beautiful custom, and if it is electric it does not detract from its beauty. 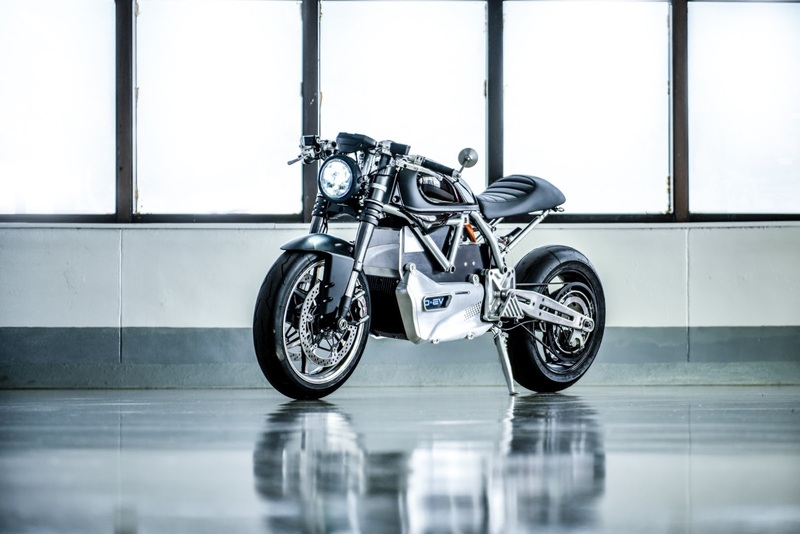 This bike made from a Ducati Scrambler, belongs to the director of Ducati Thailand and it named it 'Project D-EV.' 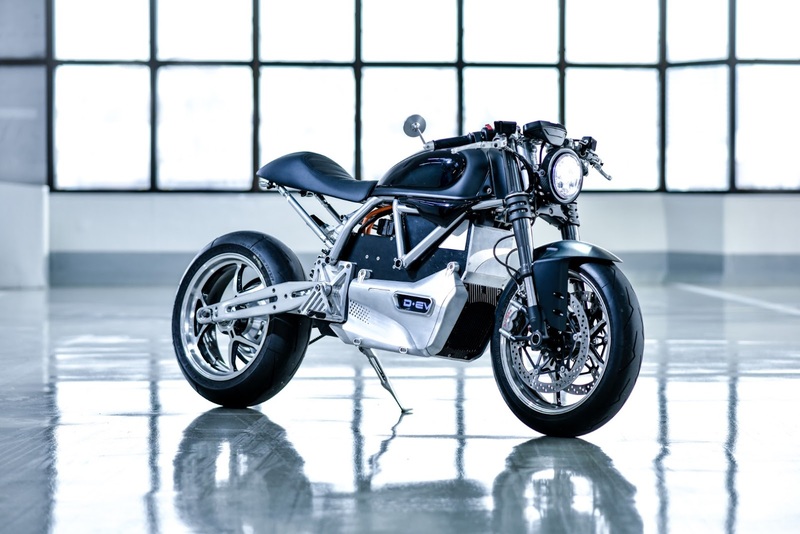 From there to say that this machine will be in production, that neni! 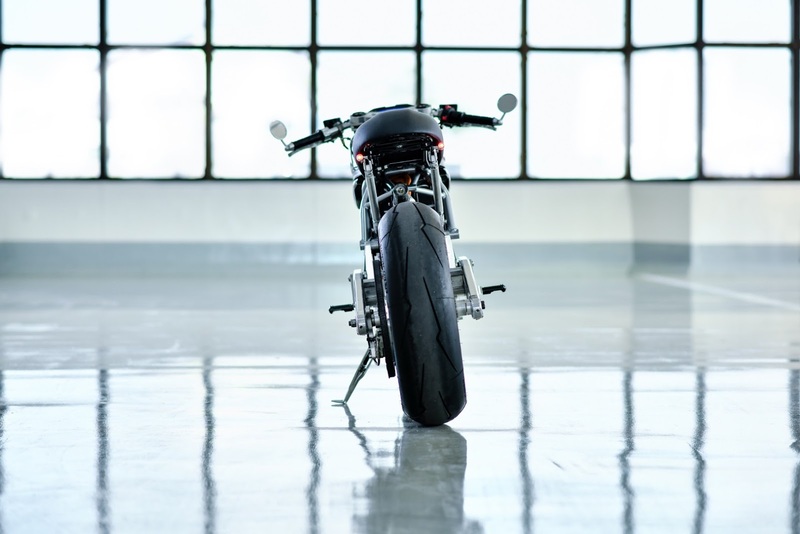 The Thai scene is very fond of customs of all cylinders, it is not uncommon to cross excellent customizations based on 125cc. This time a nice part of the cycle may be a whole other mill in, a 33kW powered 5.6kWh Lithium-ion battery (like the leaf and the Tesla you see?). And it gives an amazing torque of 107Nm (79ft-lb) at 6500rpm .. oh no directly from the first turn, it's electric! And everyone is talking about autonomy, ben 100km here! Speed ​​160km / h! We would like a little more. But there is not the essential 165 Kg (364pb) which saves him 5Kg compared to the engine version explosion. So what's changed ? A training belt instead the chain, a machined rear arm, superfluous removed on the back : here are the pictures! 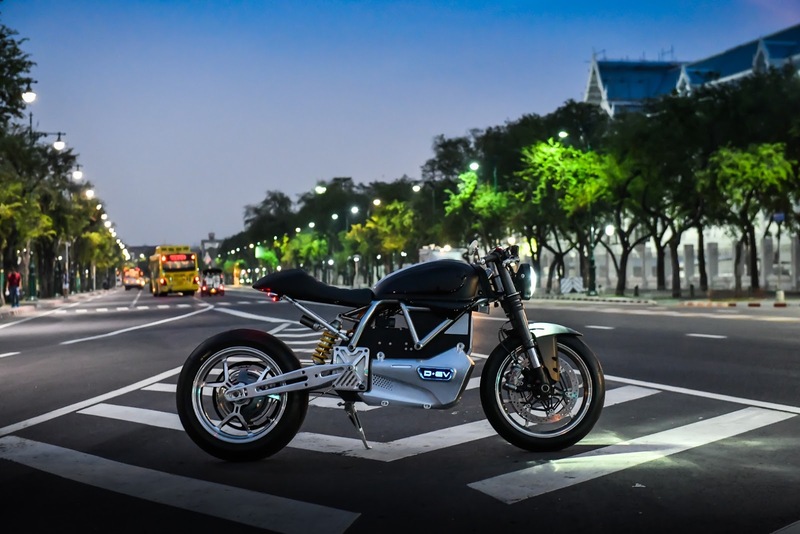 Electric motorcycles are becoming more and more common. 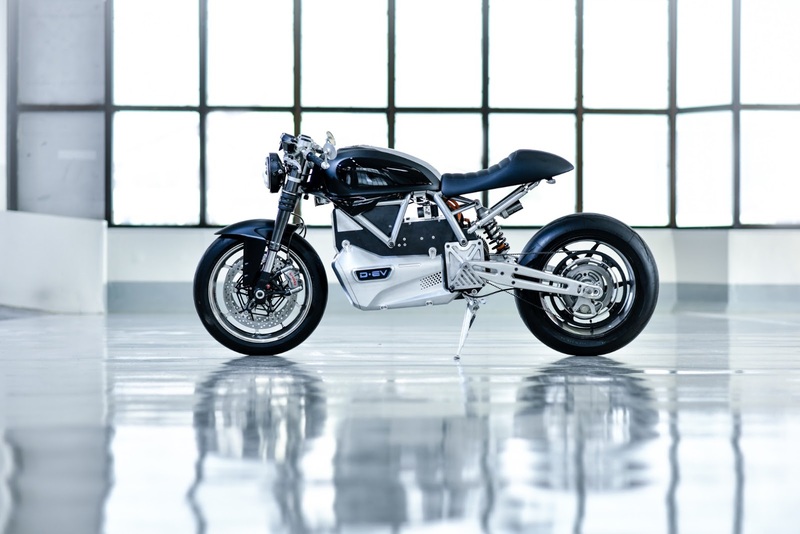 We’ve seen several cool EV-projects that are to production and more of us see the benefits of the electric motorcycle. We think we will see more customs EV soon.